There are underutilized gathering spaces in Denver’s real estate – alleys. When alleys are activated, or specifically designed to function as community gathering spaces, they can create unique places that engage visitors. Compared to other gathering spots, such as shopping malls or parks, alleys have a unique appeal, as they are intentionally small and narrow, creating quaint, comfortable and engaging outdoor environments. The concept of activating alleys is becoming a significant trend in real estate, with examples seen in cities like San Francisco and New York. Denver’s first truly activated alley will come soon when the Dairy Block – a redevelopment mixed-use project located along Wazee and Blake streets between 18th and 19th streets – is completed in spring 2017. How does one successfully create an activated alley? The true test of success is whether visitors want to spend time in the alley. This means they must not only be initially drawn to the space, but also intrigued with what they find as they explore. Through intentional visioning and planning, this can be achieved. 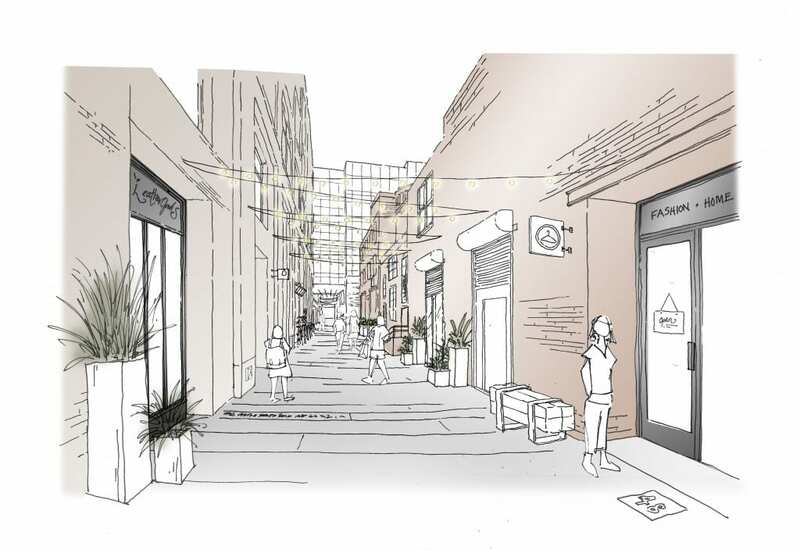 The alley must be designed as an integral element of the larger city block and have connecting functions far more grand than the traditional delivery and waste purposes. Not only should the alley showcase exciting and unique retail and dining options, but also all facets of the city block should complement the alley’s offerings and features. A successful activated alley should engage all of the senses and appeal to individuals of all generations, establishing a distinct experience for visitors. Interesting sound effects, lighting fixtures and art murals on the buildings can create a visually appealing environment, for example. The acoustics within the alley should be considered during the design process, as the alley should sound busy and vibrant, but not overwhelmingly loud. It also is important to remember the retailers will be contributing to the alley’s atmosphere – the aromas from a coffee shop or bakery will waft into the alley to catch the attention of passersby. Programming should be considered during the design process. Efficient and flexible design will allow the space to hold pop-up events such as live music performances, markets or art exhibitions. 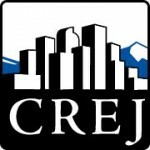 Bringing this real estate trend to Denver benefits the city and its businesses. Denver’s current landscape is filled with back alleys that serve solely for waste and delivery functions. They often are viewed as unlit, unfriendly spaces that visitors avoid, especially in the evenings. If developed successfully, activated alleys can work symbiotically with adjacent users. The vibrant alley will draw visitors to the block’s retail and dining options. In turn, when developers are mindful about placing unique tenants in the alley storefronts, and these merchants are seen as exciting “community destinations,” they will draw visitors to the block, where guests can continue to explore and indulge. This synergistic relationship will be evident in Denver’s first activated alley. The Dairy Block, which is being developed by project partners McWhinney, Grand American and Sage Hospitality, will be a mixed-use office, hotel and retail destination. As the core of the development, the alley serves as the focal point in the project’s design. The alley contributes significantly to the overall atmosphere of the block that the project’s vision aims to create – an element of “found” and exploration. Through an exciting array of retail and dining options as well as the first-floor hotel lobby and bar, the project partners are hand selecting a unique tenant mix that will further enhance the alley’s dynamic micro-district. The alley will foster a community of makers and innovative brands, creating an experience not found anywhere else in Denver. 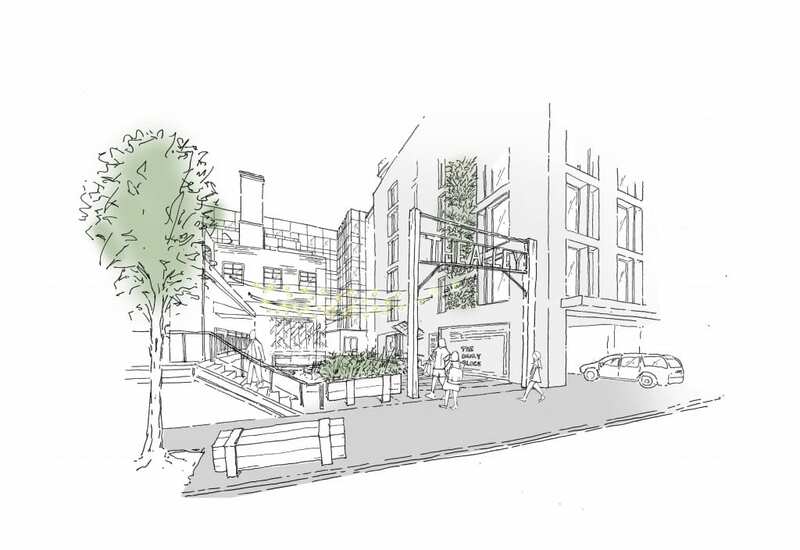 The alley’s features will intentionally engage the senses, inviting visitors to explore the block’s offerings in comfort. Visually, the block’s eclectic lighting elements are planned to evolve as visitors walk down the alley, and the walls will incorporate art. The building elements also will contribute to the visual appeal, as one side of the alley will be the block’s historic buildings, while the other side will be balanced with the project’s new construction. Outdoor music will play in the alley, and the tenant mix of “makers” will contribute to the atmosphere not only in the sounds as they perform their crafts, but also with pleasant smells and tastes from the restaurant offerings. The project partners have even considered the often overlooked sense: touch. The alley will feature comfortable seating options and will include radiant heating underneath the pavement to prevent snow pileup during the winter months. Every element of the alley has been handpicked to appeal to visitor comfort, creating an engaging space that will serve as a destination in Lower Downtown. By their very nature, activated alleys have the potential to continually draw visitors to a community gathering place. Through engaging design elements, the right mix of retailers and intentional programming, activated alleys should provide a unique experience each time a guest visits the space. Featured in CREJ’s May 2016 Retail Properties Quarterly.